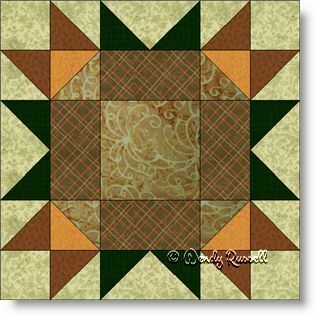 The Arizona quilt block is another interesting geometric block comprised of simple shapes. Using just rectangles, half square triangles and flying geese patches, you can create any number of interesting quilt blocks by simply changing up the number of colours and fabrics used. The sample quilts illustrated show how very different the end result can be by choosing to set the blocks on point or side-by-side with sashing.